As much as I liked the first single, the next track, Night Music,” was even better. This was a euphoric, propulsive song about the elusive and inspirational qualities of music itself. Jim Kerr had discussed in the press that the album was largely about the new beginnings that the band were going through and this, thankfully, led to a new source of lyrical inspiration. Even “She’s A River” could be read as a metaphor for either their muse or a female. Gone were the grandiose themes of the late 80s. Kerr was writing about what he knew for a change rather than digging scraps out of Sting’s garbage can, and this resulted in the music having more integrity than it had for some time. Never more so than on this exceptional track. Shockingly, this was only a promo single in Italy, so I view it as a missed opportunity. “Great Leap Forward” was another song about the band’s response to their circumstances. The notion of the production was that it would showcase Jim and Charlie as the core of the band, so keyboards were minimized and guitars were brought up front. Unlike the previous album, which saw Charlie trying on a variety of other player’s tone and approach, he was more assured and less derivative this outing. The rhythm playing here was particularly nice, but what made the song pop for me was a terrific “sonar ping” synth hook used exactly right here! It got my attention right up front then submerged for large swaths of the song, only to re-emerge at key points in the arrangement. Good work by producer Forsey and mixer Tom Lord-Alge. The next track, “Seven Deadly Sins” sported some delicious Burchill multitracked solos in the intro that spun and whirled into the stratosphere even as Kerr offered lyrics that were as down to earth as he had offered in a long time. Where he was once posturing on how to soothe the ills of humanity to no practical effect, he was now admitting his own complicity in the mess that things were. There’s nothing out there that’s worth dying for. I’m green inside and jealous to the core. It’s hard to imagine the sanctimonious singer of recent Simple Minds albums dropping some of those lines and Kerr was all the better for it. While the brief was to reduce the band’s dependence on synths, two tracks staked out new claims in the area. “My Life” was built on a foundation of rhythmic and percussive drum and synth loops, new to the rock band toolkit since they last hit the studio, that added a slight return to the train-like motorik rhythms of the band’s past and injected a sleek energy right where the album needed it. If listeners were paying close attention, in the rhythmic loops that “My Life” and the subsequent “Criminal World” were built upon, then a clear glimpse of the band’s future path could have been divined. It screams and it hurts. The first verse sports an ABCB rhyme scheme, so why would the second, from which these words were taken suddenly switch to ABCD…which isn’t even a rhyme scheme? The bigger question is why was this done. I suspect deflection, which also accounted for the scrubbing of “Airports playing Brian Eno” on “I Travel” for “Airports playing BiSomeLo” on the lyric sheet. The final track manages to wrap up this “new era” Simple Minds album concisely and with a last tasty solo from Charlie Burchill. Only the backing vocals on this album tended to be a touch shrill and here, they especially were with production used to a garish effect. Elsewhere, all and sundry acquitted themselves nicely. Burchill was all over the album on guitar, both acoustic and electric, and his was the hand on the keyboards here as well. All of it sounding commercial, but strong and inviting. If they needed to reach for the mainstream as on “Once Upon A Time,” this stripped back approach worked better for me. The band would never create another “Empires + Dance” but it also seemed as if the tooth gnashing American pandering [“Once Upon A Time”] and even worse stratospheric pomposity [“Street Fighting Years”] had been effectively tabled. After almost a decade, I was once more a fan of this band, as different as they now were. 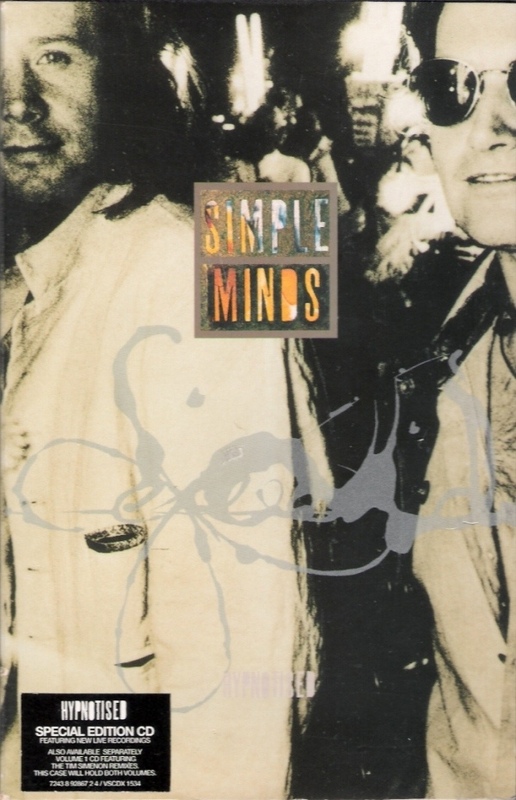 Simple Minds were gone by 1985, and Stadium Minds were now exiting to make way for the Jim and Charlie Show. Something new under the sun. The album rose to #2 in the UK album charts. Both singles also landed in the UK top twenty; on par with their past chart success. They toured America but alas, I did not get my chance to see if the band could wipe out the painful memory of the time I had seen them in 1986. Little did I know that this album; created as a new beginning, would herald yet more seismic shocks in store for the band pushing forward. Some of these were of a dramatic nature. 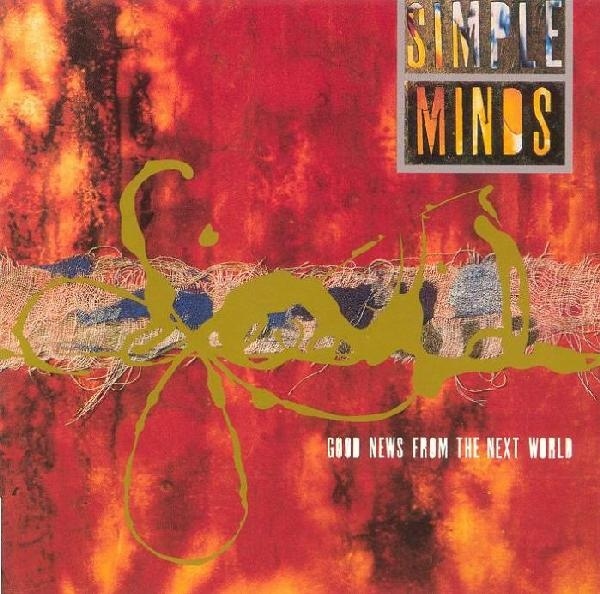 This entry was posted in Core Collection, Rock GPA, Scots Rock and tagged 1995, Good News From The Next World, Keith Forsey., Rock GPA, Simple Minds. Bookmark the permalink. Great Leap Forward is exactly that! A leap forward and away from the morass of the post SITR era that included a nodding hint to past glories. That “sonar ping” brought goosebumps when I first reheard it in anticipation of the GPA. Kerr’s vocals are subjugated by the rhythm and Burchill’s fine playing – and the song is all the better for that decision. Kerr and Burchill opened the correct door and could now walk through to the next stage of Simple Minds’ career with heads held high again. Echorich – A lot of the strength of the album is that it is self-referential, and therefore honest. Kerr is singing about the position he’s in as he’s trying to negotiate his band’s place in a changing world. While the road forward post-1995 was certainly fraught with peril, the last 20 years have been encouraging as a fan of the band. Some of those past glories are returning in the next few days! I listened to the album this morning at work. It’s definitely uplifting and full of life. Whereas the last album was BORING, this one–for lack of a better term–rocks! Burchill is absolutely on fire throughout, and Kerr brings some intensity without being pompous. As I listened, I couldn’t help noting how good the album sounds, especially the drums. I had to look up who it was…a guy named Mark Schulman. He brings some juice of his own to the songs and provides a great contribution for being essentially a hired studio gun (though I read he went on the subsequent tour as well). I hadn’t listened to this album in 10 years, and I have to admit I wrote it off too soon. It’s surprisingly vital, and a worthy addition to the SM discography. zoo – It’s only groundbreaking in that it was the first Simple Minds album in a decade that was strong, consistent, and didn’t alienate these ears! If all mainstream modern rock albums of the 90s were that good, I would have enjoyed the 90s a lot more. If they had made this ten years earlier to the sales that “Once Upon A Time” raked up, I would have been a lot happier. This was how a good commercial album should be made. Though Kerr looked pretty awful on the back cover. His worst look ever! Charlie looks like he can hardly keep a straight face as he takes in the sight.